2017 promises to be a milestone year for TXM’s business networking venture, Best Practice Network. The network directors in Melbourne, Sydney and Brisbane already have over 60 events scheduled and national membership is already over 70 major companies. A senior leaders panel discussion about Lean Leadership at Asahi in Melbourne. A senior leaders breakfast on global supply chains at AstraZeneca in Sydney. A special interest group event on practical problem solving at Laminex in Gympie. 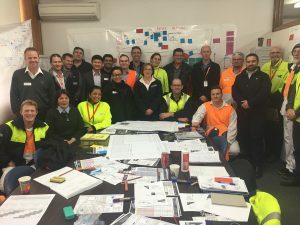 A site visit to the Dulux Rocklea site in Brisbane focusing on their Operational Lean journey. The Operational Excellence Summit in Sydney. Attendees at the Best Practice Network Two Day Value Stream Mapping Workshop at Burra Foods in July 2016. This event was facilitated by TXM Consulting Director Anthony Clyne and Senior Consultant, Justin Tao. Members attended free of charge. The summit is shaping up to be an outstanding event with over 100 confirmed attendees and presentations from some of Australia’s most respected Lean and Operational leaders. All of these events, including the summit, are free to Best Practice Network members, who just pay a single annual membership that enables their company to attend any event in any state. Over 90% of members have signed up for a second or third year. Our recent member survey found that 98% of members would recommend Best Practice Network to a friend or colleague. Based on this, it is clear that Best Practice Network is delivering fantastic value for members. Members also benefit from peer to peer connections, the ability to find answers to almost any business question from the Best Practice Network and TXM networks, a growing knowledge base on the Best Practice Network Website and the Best Practice Network LinkedIn Group, which is open to non-members as well. However there is much more to come. In 2017, following on the success of the visit by Cheryl Jekiel in 2016, we are currently planning to invite more international speakers to provide members with access to world leading thinking on Lean and Operational Excellence. We also have our first confirmed event in Western Australia at CSR Viridian on June 14th and will be announcing several more over the next few weeks. We expect to have a fully fledged network running in Perth by the end of 2017. 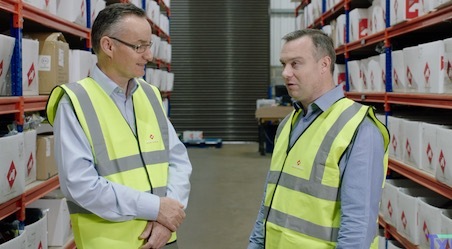 Increasingly major companies such as Parmalat, CSR and Asahi Beverages are seeing the benefits of connecting to Best Practice Network nationally and so our WA network will further enhance our national offering. Click This Link to Contact Best Practice Network and Learn How Your Business Can Benefit from Networking.